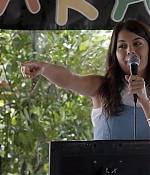 After spilling some details on her new show, “The Mick,” the star defended her hometown. 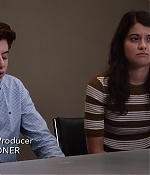 For a variety of millennial-aged binge-watchers, Sofia Black-D’Elia’s face isn’t exactly “new.” You’ve seen her on Gossip Girl as the bratty teen daughter of Serena’s older boyfriend. In Project Almanac, she’s playing around with time travel. Then she hopped in a cab on The Night Of, did drugs with the driver, and, well…things ended up pretty badly for all parties involved. 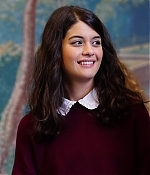 Yes, Sofia Black-D’Elia’s face is definitely one you’ve seen before. But now it’s time to get to know her, know her, put a name to that face, and learn more about that Jersey girl who’s trying her hand at comedy—and totally succeeding. Sofia’s new show, The Mick (which also stars It’s Always Sunny in Philadelphia’s Kaitlin Olson), was just renewed for season two. So before this gal hits superstardom, here’s what she has to say about life, laughs, and, of course, her hometown. The gallery has been updated with 1806 HD Screencaptures from The Mick (Episodes 1.05 – 1.06 – 1.07 – 1.08 – 1.09 – 1.10) and 34 new stills.